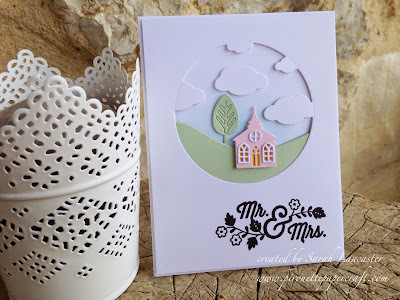 Following on from yesterday's post showcasing some 3D wedding creations, today I have some cards to share. All my supplies are listed at the end of the post. 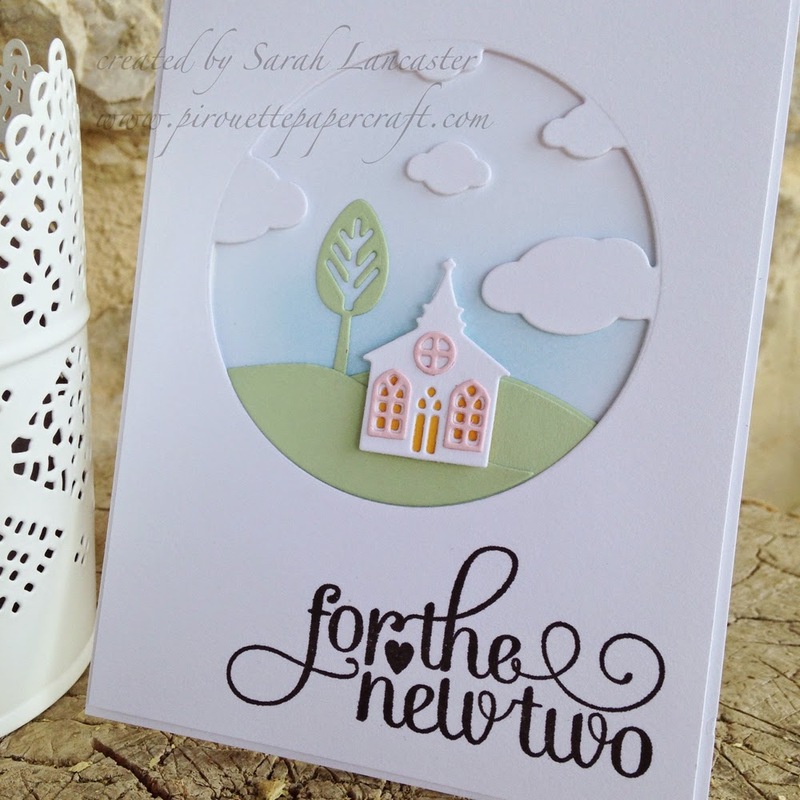 To construct the card I have lightly ink blended the background to produce a soft sky effect and then used soft pastel colours for the church and the scenery. Finally I have stamped the sentiment in crisp black ink. 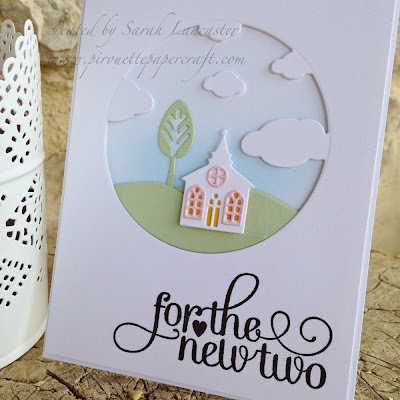 The sentiments I have used are from Stampin' Up! - they are perfect for creating your cards for wedding celebrations. 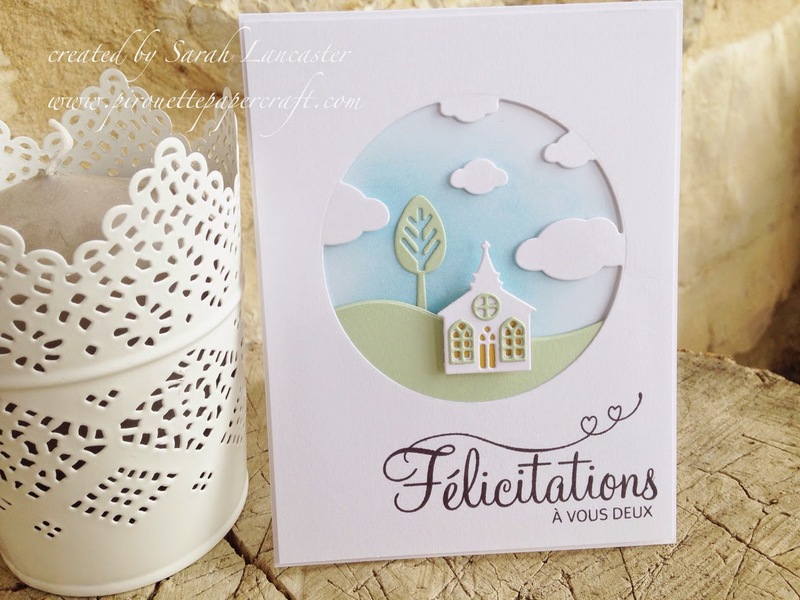 The French stamp set is also available in English (Your Perfect Day) and it is such a lovely set but will not be available for purchase after 2 June 2015. So be quick if you want it! I have shown it on a number of cards, including this watercolour one that was part of the Pootles blog hop. You can watch my process video on YouTube. The other stamp set For the New Two that I have used here is also suitable for watercolour techniques. You can see some cards that I created by clicking here featuring this set and also a process video. I also have a video showing how to produce a *bokeh* effect that uses this stamp set, you can watch it on YouTube or read my blog post by clicking here. 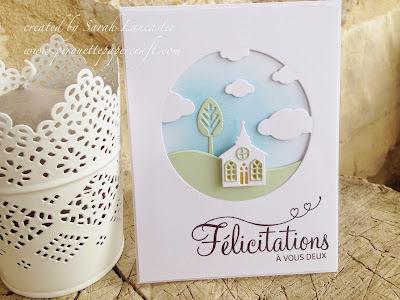 I will have more process videos and tutorials coming soon with the release of the new Stampin' Up! catalogue. You can follow my blog or my YouTube channel by clicking on the links in the right hand side bar.